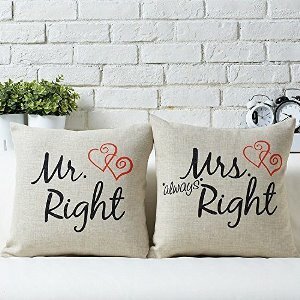 From married to dating or anywhere in between, “His & Hers” gifts are perfect for love birds at any stage in their relationship. Whether it’s for an engagement, wedding, housewarming… Valentine’s, Anniversary or just because, here are 8 his & hers gift ideas for the madly-in love couples. 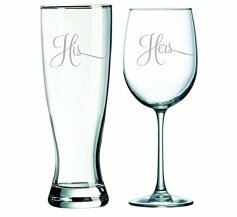 For couples who love to drink together, this Beer and Wine Glass duo is perfect for at-home dinner dates. Both glasses also make an adorable décor to your mini bar at home. 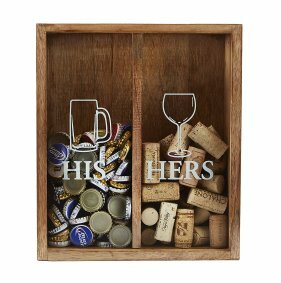 Now, to keep track of the number of beer and wine bottles consumed, here’s a His & Hers Wood and Glass Display box for your bottle cap and wine cork collection. Let’s see who gets to fill their side first! 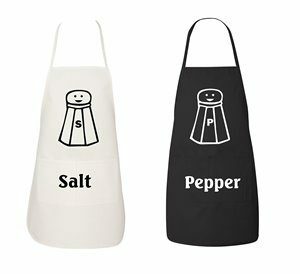 This is a cute pair of aprons for the couple who loves being in the kitchen. This will make cooking sweeter and more fun! Wear your love for each other loud and proud with this customizable matching couple hoodie. It’s a hip apparel to show the world when your love began! A wife-approved pillow case design that will liven up any room in a couple’s home. Here’s another wife-approved home décor that will guarantee a good laugh! Men, you know the struggle. 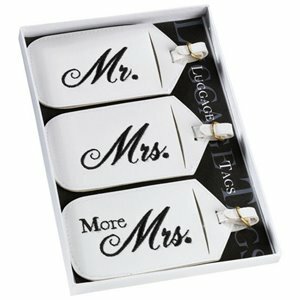 This Mr., Mrs. And more Mrs. Luggage tags is a humorous gift for the couple who loves to travel. It’s time to replace those boring old luggage tags. Ladies, you know you need that extra one! 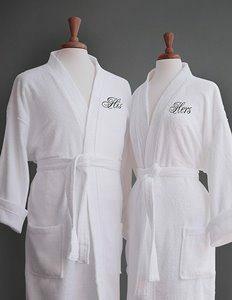 Give the gift of luxury with this set of Terry Cloth Bathrobes made in 100% Egyptian Cotton. Have it customized with monogrammed initials for a personal touch. This entry was posted in Dating, Love and Marriage and tagged Gift Guide, Gift Ideas, Valentine's Day. Bookmark the permalink.